Here are a few upcoming spring events that will enhance your fundraising party’s overall theme. You have finally reached your fundraising goal and sent your thank you cards to your donors. Keeping your fundraising efforts personal is always beneficial to both you as well as your donors. With that being said, consider throwing a party at your home or organizing a gathering at a local space. This is the best way to thank your donors and keep them wanting to continue giving to your efforts. Here are a few upcoming spring events that will enhance your fundraising party’s overall theme. Walk-to-Work Day is the perfect reason to celebrate your fundraiser’s success, especially if your efforts were athletics-based. If your fundraising event was a 5K or fun run, use this opportunity to celebrate staying active and fit. Your donors will appreciate the fact that you’ve catered to their interests. 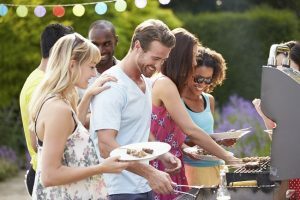 Throw a casual cocktail party at your home and encourage donors who live in close enough proximity to you to walk to your house on a warm, spring day. Spring is all about new life and rebirth, so Earth Day is another fantastic reason to celebrate your donors with a thank you party. Plan a small gathering in your home or at a local, outdoor space where your guests can enjoy the warmth of the sun. Your donors will be happy to celebrate with you and enjoy the gifts of nature. Cinco de Mayo is another festive event that people enjoy celebrating in the sunny months. By May, the weather is starting to be less unpredictable, so throw a Cinco de Mayo party to thank your donors for their generosity and kindness. Provide a taco bar and margaritas to bring your party to life. Everyone will feel great about your efforts to thank them and make them feel appreciated. This entry was posted on Friday, April 6th, 2018 at 2:23 pm. Both comments and pings are currently closed.